New to email marketing? We’ll teach you how to email market. New to email marketing? We’ll teach you how to email market. We know how confusing that can be. 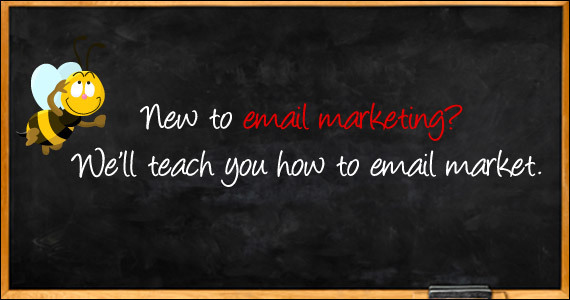 Helping people get started in email marketing is why we created The eMail Guide! Have any questions? Send us an email: questions@TheeMailGuide.com or post a comment and we’ll be happy to respond! Email marketing isn’t about what you send out. It’s about what you get back. Outlook or any other eMail client (using addons or plugins) just doesn’t support the reporting data which is so critical to building a winning email marketing strategy. At the most basic level, you need to know who opened your messages and Outlook can’t give you even this information. Outlook means you have to handle list hygiene (removing unsubscribe requests and invalid addresses) manually. Don’t fool yourself into thinking this is not a lot of work because it is. Outlook can tie up or even crash your company’s email server if you are sending out a lot of emails. ISPs take a dim view of a lot of emails coming from one address/source. You may find your access turned off if you try to send out even just a few hundred eMails at one time. You may find your ISP shutting down your access or you might have server crashes as a result. While there are creative templates available for Outlook, you really can’t be sure your creative design will translate on the receiver’s end as it looked on yours. An Email Service Provider provides the support to ensure your message’s creative arrives in the same condition it left. Considering Microsoft’s disregard for web standards with Outlook, this is a critical consideration. Still don’t want to heed our advice and feel the urge to use Outlook? Check with your ISP to see what their outbound threashold is (the number of messages they will allow you to send out at once). This will fall somewhere between 20 – 50 addresses at a time. At the least if you want to go down this road, look into programs/plugins which work with Outlook for email marketing. Knowing the basics of these laws is key to your success in email marketing. However, using a legitimate ESP will take most of that load off your shoulders since their livelihood depends on compliance. Any reputable ESP will ensure that you are provided the guidance you require to stay on the good side of the law with your email marketing campaigns. A valid reply (contact) address which is live and monitored. Your physical address as an alternate for people to contact you at. Ensure your email header (subject line, from line and address) honestly represents who you are and the subject is not misleading. What’s your SPAM IQ? Take a test designed for email users here and find out! Rule 1: You can’t legally buy an email list. Rule 2: If someone is trying to sell you a list, refer to rule 1. As for list rental, the only proper way is when a list owner or manager (not yourself), will send your message to their list either as a standalone message or an included advertisment. Any other variations beyond this, fall into the realm of spam and will do your brand harm. No Email Service Provider (ESP) will knowingly allow you to send to a list which is not permission based. In other words, you need to have a list of email addresses from people who have opted in to get email from you. You can’t buy permission. Matt Vernhout of Thindata puts it in perspective in this video interview with The eMail Guide’s Jeff Ginsberg. You can use your current contacts to build your own list. Send your first email to those you have established a relationship with and ask them to opt-in. When you do contact them, make sure you tell them front and centre, who you are and remind them of your relationship – which of course, is why they are getting an email from you. Web forms: If you’ve got a website you should be asking people to sign up to your email newsletter there. Refer-a-friend: Include a forward to a friend link in your email newsletter and on your website. This is a great way to expose new potential subscribers to opt-in to your list. Social Sharing links should be included in all your emails and on your website. Always place a subscribe link right next to your unsubscribe link. If someone has been forwarded your message this is a golden opportunity to get them to join your mailing list. Never hide a remove or unsubscribe link in an email or shove it to the bottom. You’d rather have them unsubscribe then have them click the “report spam” button. Create a preference centre for your website. This automates management of accounts where your subscribers update their addresses, unsubscribe and change subscriptions. This will save you a lot of time and money. Offer incentives such as discount coupons or down-loadable content (white papers) to get people to sign up. A positive opt-in is where you actually offer someone the chance to click a box to opt-in and recieve emails from you. A negative opt-in is where you might use your contact list to send them an email and give them the opportunity to then opt-out but, continue to send them email if they do not select to opt-out. In general, the positive opt-in method is the better way to go. Email marketing is about building relationships and positive relationships take time and effort. The good news is that you already have relationships you’ve built and nurtured with current contacts and those contacts will form the foundation of your email marketing success. As mentioned earlier, email clients such as Outlook don’t provide any statistical reporting. You can’t judge how effective your efforts are if you don’t know who opens your messages or who clicks through on links in them. Having this data is absolutely necessary if you want to get anything out of an email marketing strategy. Delivered: how many emails were sent out. Opens: how many emails were actually opened. Clicks: (AKA Click-Throughs or Click-Through-Rate) – how many links were clicked on. Bounces: a hard bounce is a non-existant address, while a soft-bounce means the email just didn’t get to the recipient that one time. Unsubscribes: how many people have opted to remove themselves from your list via the unsubscribe link. Forwards: how many email were forwarded by recipients. Conversions or Sales: number of those who’ve interacted or even purchased something on your website (via a link in your email). Most ESPs provide templates which are easy to customize for your needs. This reduces time and effort and frees up resources on your end to focus on other priorities. Anyone who’s ever dealt with an overtaxed creative department can tell you this is a life saver. If you need some creative inspiration, have a look at these eMail creative examples. ESPs also easily support in-house creative designs as well. It’s usually a simple matter of cutting and pasting code to incorporate your creative. You can NOT use MS Word to build HTML which is critical for creative email messages. Think ahead! Where is your list going? Do you see your list growing to thousands or hundreds of thousands? What matters most to you regarding your email marketing needs? Is the company you are thinking of working with stragetic and technical enough to get you where you want to go in the long term? You may have to try more than one vendor to see what solution fits your needs. The eMail Guide has hundreds of eMail Service Providers listed and they all have their strengths and advantages — find a vendor who fits you and not the other way around. A good ESP can simply grow with you as your needs do. Most ESPs offer free trials and if your list is small enough, some offer a “free forever” service. With an ESP it’s one stop shopping for both accountability and support. If you choose the in-house route, most support issues will require you to coordinate more than one department or individual to resolve the issue. This can result in “cat herding” and we all know you can’t herd cats. We’ve complied a list of questions you should ask any Email Service Provider before you sign on the dotted line. 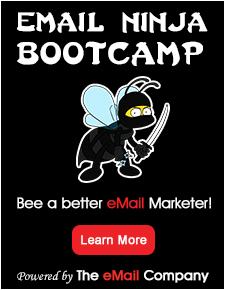 Scott Hardigree guides you through hiring an email marketing expert here. Start small and keep it simple! Connect with others and see what they are doing. A simple Google search for examples will bring up a lot of inspiration. Take a look at examples featured in industry blogs and at many Email Service Providers websites. A good post to start with! Knowing the lingo means a better comfort level and brings wisdom. Some great talking points to get those meetings buzzing. There’s more to it than just grapics and hyper-links. Your campaigns won’t work and your reputation will suffer if they are not relevant to your subcribers. Your reply address should be monitored by a real person who responds to subscriber feedback. I strongly urge those new to email marketing to not sweat the cost. Some cost a dollar and some cost 2. At the end of the day many of the solutions that people find in the entry level arena are all cheap in comparison, thanks for the post, keep up the good work. Regarding email prospecting, we recently had a client add 950 new subscribers from a 150,000 email invitation. AND, the complaint rate for those new subscriptions was still triple the rate of our regular opt-in list. IMO, Just don’t bother with it. Email marketing can be an utter minefield to those who don’t understand it. I certainly agree that you should either employ a company to oversee your email marketing for you or ensure that you have the time to study and learn the techniques needed to create a successful email marketing campaign. Many business owners are under the impression that they can simply buy an email list and send out a mass email from their normal email server. Unfortunately this is not the case. Buying email lists in itself is a minefield as there are many list brokers that sell harvested none opted in lists. It is far better to create your own opt in list if this is possible. If not then ensure the supplier that you purchase your email lists from is reputable and also ensure that their lists are fully opted in. Once you have an email list and you are ready to send your emails out you can’t simply use your usual email server to do this. Although it is not illegal to send out marketing emails most server companies have terms and conditions which prevent you from doing this. You will most likely become blacklisted very quickly which would be a nightmare for your business. You could find that both your email service and your website disappear overnight. In most cases you can get them re-instated but this can take time. There is marketing software available that uses external services to send out emails and therefore eradicates the problem of becoming blacklisted. If you search Google for ‘email sending software’ you will be able to locate some software which meets your needs. If you intend to send out mass emails (over 10,000 per month) then you would be better using what is known as a bulletproof server. These servers are located off shore and eradicate many of the problems associated with sending huge amounts of emails. You can rent a bulletproof server on a monthly basis with no fixed contract term. Again if you search Google for ‘bulletproof email server’ you will find what you need. You know Jim…the one point we didn’t touch on is cost. I strongly urge those new to email marketing to not sweat the cost. Some cost a dollar and some cost 2. At the end of the day many of the solutions that people find in the entry level arena are all cheap in comparison. After all most newbees will send 100 or 1000 messages if they are lucky. Maybe they have 2000 or 5000 names. At the end of the month all of the entry level solution’s should not be considered based on cost. Remember, if you are lucky enough to grow your list to 10,000 names or even 100,000 names that is when looking at the cost will begin to make sense. But we all know, when buying technology and cars, the cost at the beginning of the month is always different than the cost at the end of the month.